New features in the Windows 10 Fall Creators Update link PCs and smartphones, making users more productive. But they present some security issues for IT to worry about. 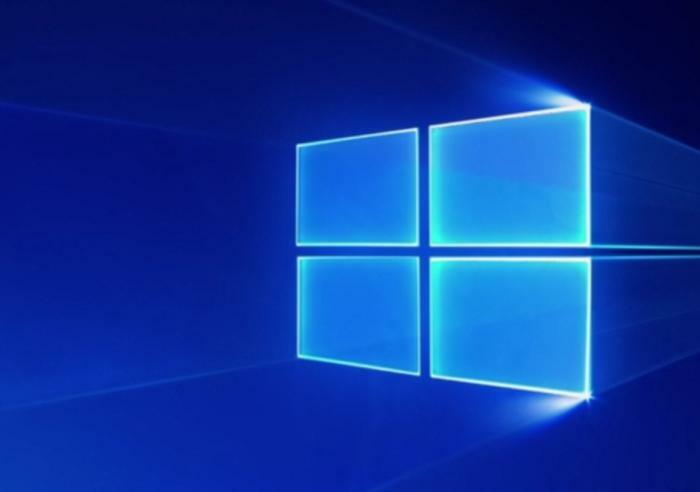 New Windows 10 syncing features should be popular among users but could lead to IT security risks. Microsoft's upcoming Windows 10 Fall Creators Update will include the Continue on PC feature, which allows users to start web browsing on their Apple iPhones or Google Android smartphones and then continuing where they left off on their PCs. A similar feature called Timeline, which will allow users to access some apps and documents across their smartphones and PCs, is also in the works. IT will have to pay close attention to both of these features, because linking PCs to other devices can threaten security. New Windows 10 syncing features should be popular among users but could lead to IT security risks. Microsoft's upcoming Windows 10 Fall Creators Update will include the Continue on PC feature, which allows users to start web browsing on their Apple iPhones or Google Android smartphones and then continuing where they left off on their PCs. A similar feature called Timeline, which will allow users to access some apps and documents across their smartphones and PCs, is also in the works. IT will have to pay close attention to both of these features, because linking PCs to other devices can threaten security. "It does have the potential to be a real mess," said Willem Bagchus, messaging and collaboration specialist at United Bank in Parkersburg, W.Va. "To pick up data on another device, you have to do it securely. This has to be properly protected." Continue on PC syncs browser sessions through an app for iPhones and Android smartphones. Users must be logged into the same Microsoft account in the app and on their Windows 10 PC. When on a webpage, smartphone users can select the Share option in the browser and choose Continue on PC, which syncs the browsing session through the app. The feature is currently available as part of a preview build leading up to the Windows 10 Fall Creators Update, and the iOS app is already available in the Apple App Store. Microsoft did not say if the feature will allow users to continue a browsing session on their smartphone that started on their PC. Apple's Continuity feature offers this capability, and the Google Chrome browser lets users share tabs and browsing history across multiple devices as well. Continue on PC could expose sensitive data when sharing web applications through synced devices, said Jack Gold, founder and principal analyst of J. Gold Associates, a mobile analyst firm in Northborough, Mass. For example, if a user's personal laptop is stolen that is synced to a corporate phone, the thief could access business web apps through a synced browsing session, exposing company data. If the feature is expanded to share browsing sessions from a PC to a smartphone, all it would take is someone to steal a user's smartphone to have access to the web apps the employee used on their PC. "It could be something to worry about if a user loses their phone," Gold said. "I can't lose that device because it can sync to my PC." To avoid this problem, IT could use enterprise mobility management (EMM) software to blacklist the Continue on PC app altogether, or simply prevent users from sharing the browser session through the app. Originally, Timeline was supposed to be part of the Windows 10 Fall Creators Update, but now it will come out in a preview build shortly afterward, Microsoft said. Timeline suggests recent documents and apps a user accessed on a synced smartphone and allows them to pull some of them up on their PC, and vice versa. Microsoft hasn't disclosed which apps the feature will support. This feature could also cause a security problem if a user loses their PC or smartphone and it gets in the wrong hands. Timeline is basically a dashboard displaying every app, document and webpage the user was in across multiple devices, so someone could access documents, apps and web apps that contain work data on the stolen device." Security is needed across the board," said Bagchus, whose company plans to move to Windows 10 next year. "It absolutely has to be managed." EMM software should also come into play when managing this feature, he said. IT needs to force users to have passwords on all PCs and mobile devices to protect from these instances, said Jim Davies, IT director at Ongweoweh Corp., a pallet and packing management company in Ithaca, N.Y. "This is something that will be used by a lot of people in a lot of companies," Davies said. "People won't need to email themselves a link because this makes it simpler. That being said, your password is that much more important now." Ongweoweh Corp. plans to migrate to Windows 10 in the first quarter of 2018. It is likely that these Windows 10 syncing features won't be limited to smartphones, and iPads and Android tablets could gain this ability in the future, Bagchus said.